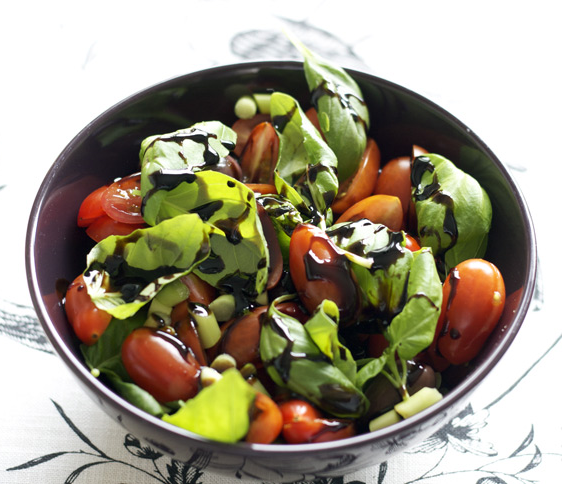 This is a perfect summer salad when you can access ripe plum tomatoes. I’m an tomato addict galore and I can eat buckets of this salad. However its also a perfect side salad to a suitable Italian style dish or buffet. This recipe was created by me and originally posted on Vegan Miam in 2012. Part of a recipe suite and guest blogging column, where I shared a couple of lighter recipes, suitable for a detox period or similar.